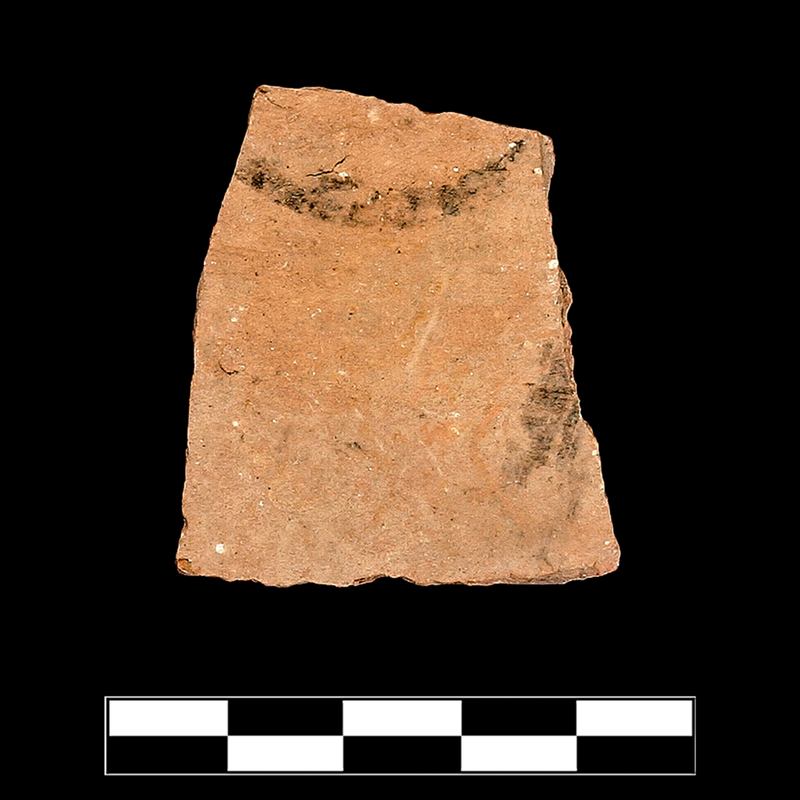 LRA2 amphora body sherd. Traces of dipinti in diffuse black line: circle/oval and straight stroke. Typical Southern Argolid pale fabric. One sherd preserves small part of body. Slight, sparse pitting, scoring, and abrasion; worn breaks.